We take a look at some key stats and trends around returns in ecommerce. Returns policies, and how returns are handled, are key concerns for online retailers. Returns can be a major headache for retailers. There’s the cost of processing returns, in terms of staff and resources, and there’s also the risk that items returned may not be easily resold. All of this has an effect on retailers’ profit margins, and some sectors suffer more than others. It’s a particular problem for online retailers, according to Paazl. While returns rates to stores are around 8%, this jumps to around 25% for items bought online. Barclaycard research looked at the issue of serial returners, shoppers who deliberately over-order so that they can keep the items they want and return the rest. 19% admitted to ordering multiple versions of the same item so they could make their mind up when they’re delivered. The same Barclaycard survey also asked retailers how returns impact their business. 57% of retailers said that dealing with returns has a negative impact on the day-to-day running of their business. 33% of online retailers offer free returns but offset the cost of this by charging for delivery. 20% said they’d increased the price of products to cover the cost of returns. 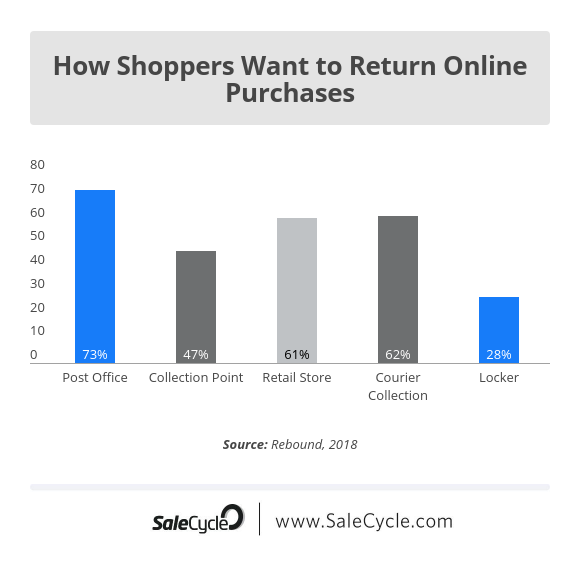 Some retailers may look to reduce returns rates by placing obstacles in front of customers, perhaps charging for return postage, or making it harder to return items. 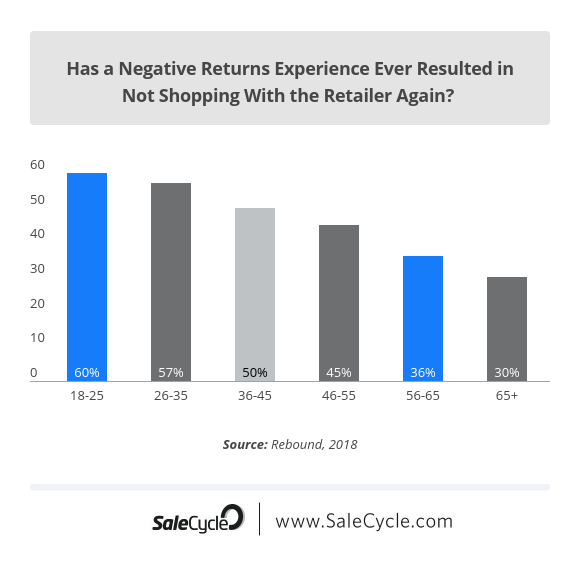 However, the risk is that you can alienate customers – a survey from Rebound found that negative returns experiences can deter customers from shopping with a brand again. As well as price, product and other concerns such as delivery costs and timings, returns policies are an important factor when customers are deciding on a purchase. According to the 2017 UPS Pulse of the Online Shopper survey, 68% of shoppers view returns policies before making a purchase. The lesson here, as stats from Rebound show, is that customers want a choice of returns methods. It’s all about convenience. 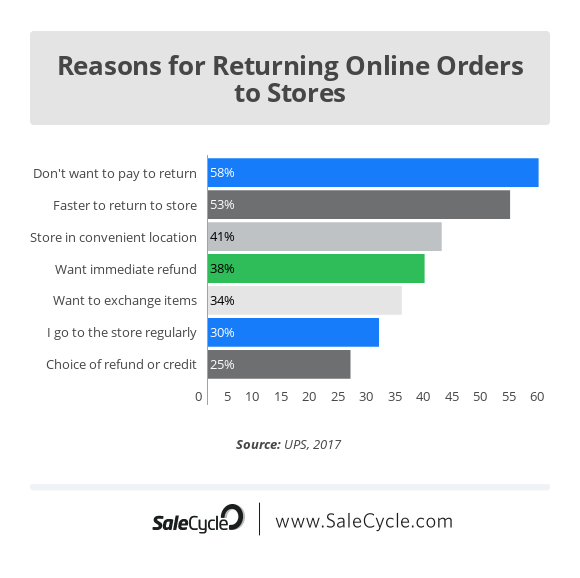 For those that choose to return online purchases to a store, avoiding returns costs and speed are the most popular reasons. For retailers, offering in-store returns mean some customers may exchange or buy alternative items.